Here one more of my latest Wenger knives and this is interesting. It got Classic handle scales on a S557. This got white scales and I will put this as a special knife too. The S557 is the Wenger knife that represents the Company and its history the best. The S557 is Wenger and please take the time to read my pages here on Sakhome.com on this knife and history. I am very enthusiastic about this configuration. The Wenger White or W is interesting and the symbolism is high just for this reason alone. 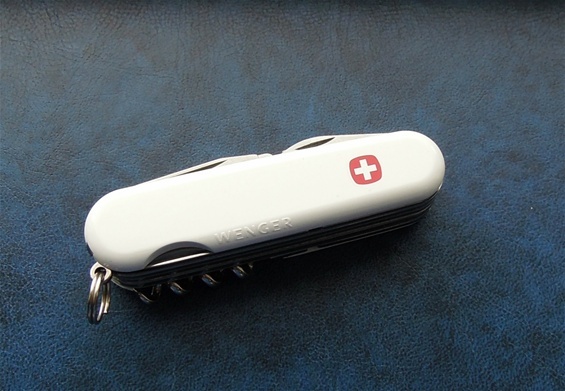 The W is the first letter in Wenger and the W has also been used as the three knife logo used by this Company. The name is also no more with SAKs. 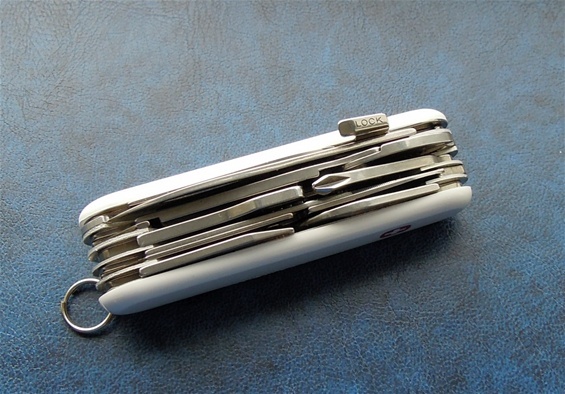 The cross and emblem is extra beautiful looking with white and it is a bit unusual on Swiss Army Knives. The product is completed.